If a criminal defendant intentionally (a) touched or struck the alleged victim against his or her will, or (b) caused bodily harm to the alleged victim, he can be charged with Simple Battery, under Florida Statutes Section 784.03. A simple battery is a first degree misdemeanor. However, if the criminal defendant has a prior conviction for battery, he or she can be charged with Felony Battery which is a third degree felony. If you anticipate being charged with the crime of battery or you have already been arrested for it, contact a Jacksonville Florida Criminal Defense Attorney as soon as possible. When it comes to felony battery, time is of the essence. 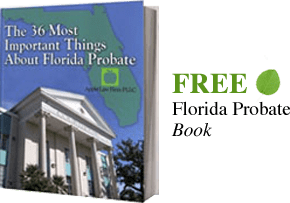 A Jacksonville Criminal Defense Lawyer may be able to investigate your case early and discuss it with the prosecutor prior to the case being filed. This may result in the case being dropped, filed as a misdemeanor instead of a felony, or a favorable disposition. Call us at 904-685-1200 or contact a Jacksonville Criminal Defense & Battery Lawyer as soon as possible to set up a consultation.